Dr. Rosen went to college at Emory University, and received his M.D. degree from State University of New York – Downstate Medical Center. After becoming board certified in internal medicine, he completed ophthalmology training at McGill University in Montreal, and cornea fellowship training at the University of Rochester, where he gained extensive experience in corneal transplantation, management of complex corneal diseases, and advanced laser and microsurgical technique. Dr. Rosen is a member of the American Academy of Ophthalmology, the American Academy of Cataract and Refractive Surgery, and the Paton Cornea Society. He served on the teaching staff of world-renowned Wills Eye Hospital in Philadelphia for six years, where he assisted in training ophthalmology residents. 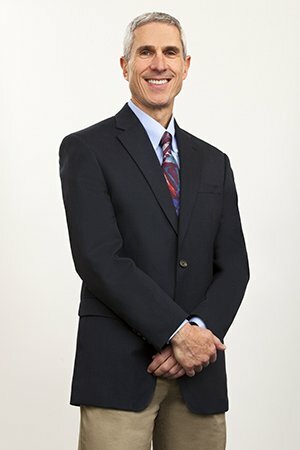 He participated in national clinical trials of corneal transplant surgery, was the first surgeon in the Charlotte area to perform DMEK partial-thickness cornea transplant surgery, and is the Medical Director of LifeShare of the Carolinas Eye Bank, which serves Mecklenburg and 8 surrounding counties. Dr. Rosen is married with two children. He enjoys hiking, swimming, cycling and family time. While not fluent, he is comfortable speaking Spanish. He appeared briefly on Showtime’s "Homeland" series, which was filmed in Charlotte.